the first thing i did was print out the last word or two of each line in each verse. 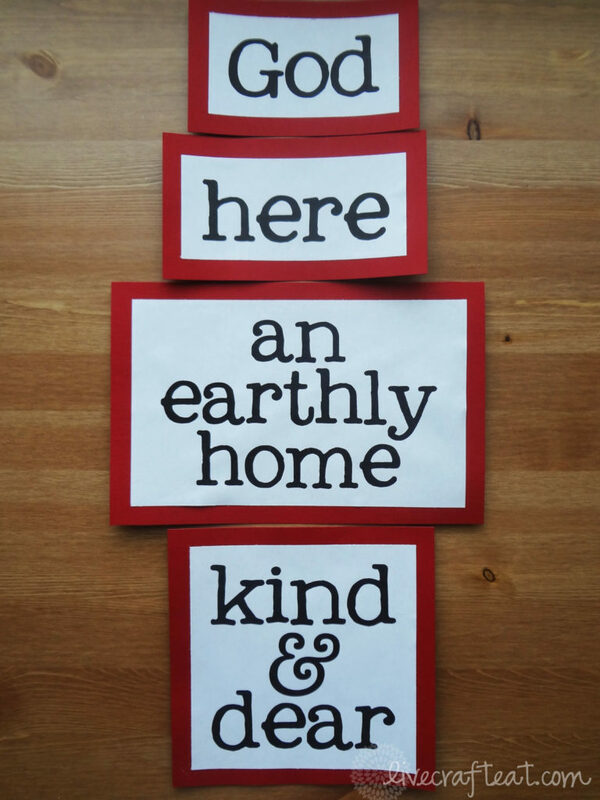 then i mounted the words onto colored cardstock. i gave each verse it’s own color so the kids could tell them apart. oh, and me too! now for the fun part! 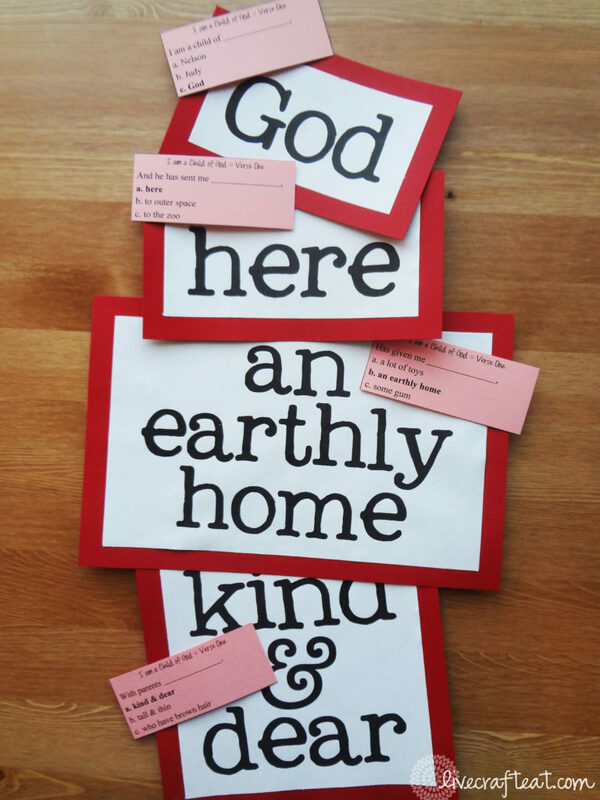 before putting the words up on the board, i tested them with these question cards. you know, i was pleasantly surprised that they knew all the answers – they just didn’t know what order they all went in/what verse they were in. and when i say that they “knew all the answers,” i don’t mean that some of the answers they had to choose from were obvious, but that before i could even give them the options they were sometimes already putting their hands up because they knew what came at the end of each line! i did one verse at a time. i also did each line in order. when they got the answer, i put the correct word up on the board. when we had an entire verse on the board we sang the song. easy peasy! but the best part is that they had a lot of fun playing this game! bonus: some of the teachers joined with the kids and laughed out loud at some of the silly answers. 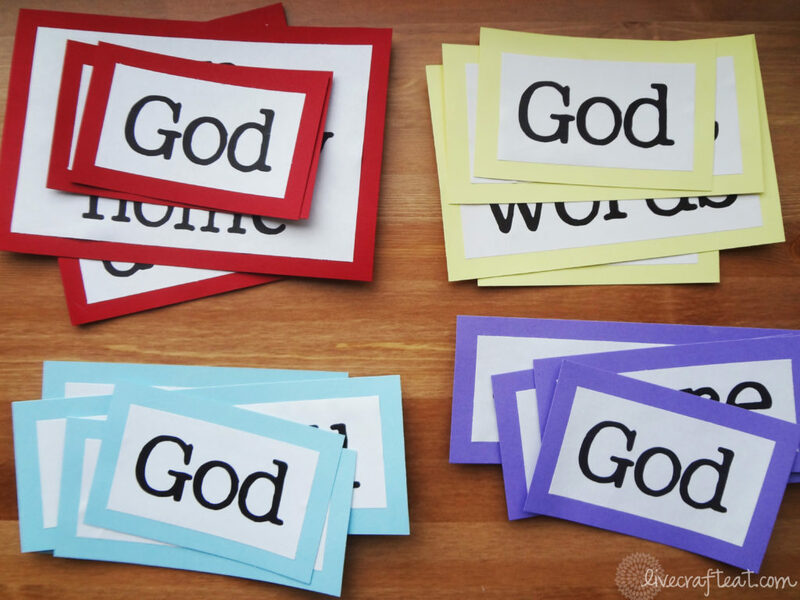 please feel free to download the wordstrips + question cards that i made (here). or you can make your own. either way, i think your primary will have a lot of fun playing this game AND learning about the words in the song, too. almost makes me want to be in primary – almost! Just what I needed tonight! I’ve been out of town and have so little time left to prepare for tomorrow. You are so great for sharing your wonderful ideas! Thanks much! Thanks Peggy! I’m glad you can use them!! Ditto 100% what Peggy said! Thank you SOOOO much! Thank you for sharing all these great ideas! I just got called as the music leader and I used this to review the verses today. It was really helpful! Awesome, Sarah! Thanks for letting me know! I’m glad you’re finding some things on here that are helpful to you. 🙂 You can use the main menu at the top of my blog to find more Music Time ideas. Bubblegum Ben is a favorite, for sure! Thanks so much for this! I have been looking for something to teach and review with the kids. do you have a list of the questions? Isn’t it great that we can recycle every 5 years. there is a link in the post that you can click that will download a file with all the questions on it, and you can print it right from there! and yes, recycling these things is so great! i keep most of the things i’ve made when i leave a calling because i know i’m likely going to get called back into that same calling down the road, and the songs are always used again! I was asked to substitute singing time and I’ve only done it once before. I had no idea how to teach kids to sing I’m a Child of God. Thank you so much for this! You’re a genius! Great idea. Thank you so much for sharing it! This is simply adorable, thankyou! Just what I needed for a last minute lesson! I really appreciate your hard work and willingness to share your talents with the rest of us! Very cute! I just got called as chorister and I think I’ll use this next week! Hope it went great, Kaelyn! Thank you so much. 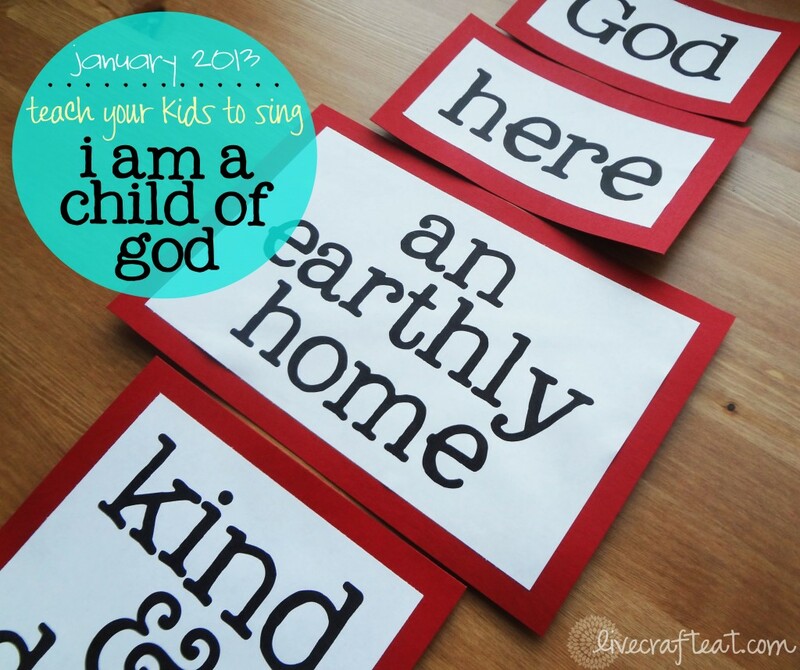 I was looking for ways to teach/re-teach “I Am a Child of God.” This idea looks great. I will let you know how it goes this Sunday. You’re welcome. Hope it went great! Thank you so much for this, it was just what I needed for a great singing time in a pinch! You bet! Glad you liked it. Thank you a million for sharing this! I was asked to sub for chorister (5th sub in a row- the chorister moved) tomorrow and the presidency wanted me to teach the whole last four verses and descant as fourth in one day. This just might be the ticket!!! Thank you thank you! !